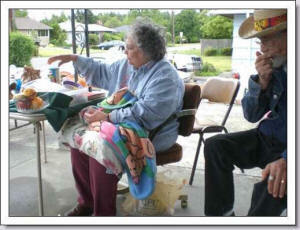 Caleb workers continue to work tirelessly to fund the many programs that Caleb sponsors throughout the world. Congratulations to Sandy Hassler for her supervision of the Caleb yard sale July 7th & 8th and to her many volunteers including Connie Eggers, Mark DeBenedetti, Denise Longenecker, John Meer, Aliyannia Youngman, and many others. Proceeds are being used to purchase supplies for the New Year's Eve candy packing project. A big thank you to Helena Carlsen and Janet Pitts for all of their help in running the Caleb Yardsales the past two weekends and to those who helped! 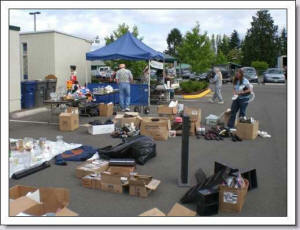 It was a great success, doubling the proceeds from the previous year! 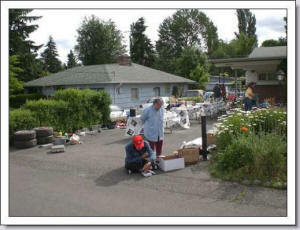 Kudos to all who participated in the Caleb yard sale held September 15 & 16, 2012 at Caleb house. 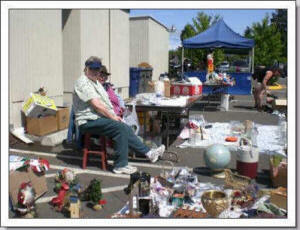 Under the excellent supervision of Helena Carlsen, over $450.00 was raised for Caleb Ministries. Thank you one and all! Because of your generous contributions and hard work, we can continue many of our programs reaching out to the less fortunate. 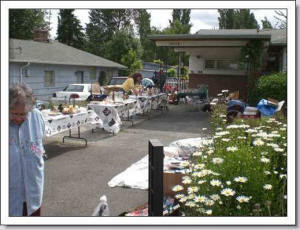 2007 yard sales & parking lot sales to fund Caleb programs. If you, too, can help - click here! Make a donation - click here!